You will be impressed by this very stylish home with smart interior design. The aesthetics goes beyond with the bizarre decorations in the house. Bespoke copper lightshades and modern German window architecture are some of the many features that make this a fashionable comfortable home for your town stay. At twilight, you can light up the heart shape to lighten up the mood. You have the modern kitchen, super sized bathroom and 3 attractive bedrooms house plus a separate studio unit. 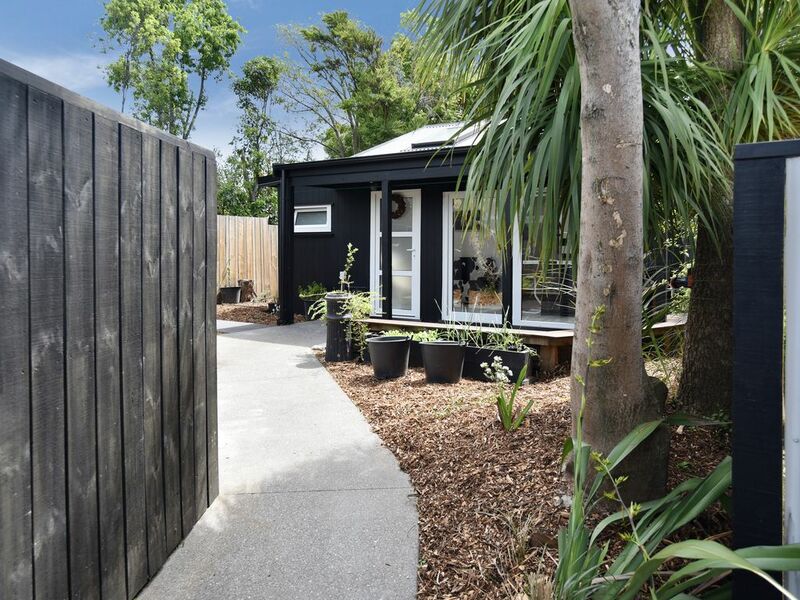 It s just a short walk to the Addington precinct of shops, cafes and restaurants, and you may just want to stay in your sunny back yard surrounded by native NZ plants.